‘Tis the season to scoff, guzzle, gobble, nible and then lie down dizzily on the couch and wait until you feel up to doing it all over again. We are already nearly fully booked for January 2018 and it’s only mid November. New clients are contacting us to book in for January anticipating that the wheels are going to come off in December and they will need professional help in January! It’s all but written into our constitution that 25th December (and the few weeks on either side of it) is the one time that we can be deliciously gluttonous without impunity. And yet there is always, nearly without exception, a moment of reckoning (normally, at the gym, in the first week of January), and a persistent feeling that, if the wheels of time could be reversed, we might have made one or two tiny changes to our lifestyle over the last number of weeks of celebrations. So is there such a thing as a ‘healthy’ Christmas? 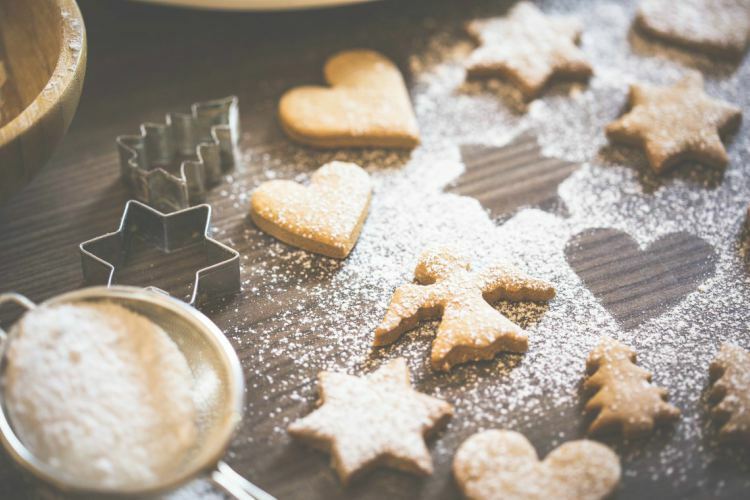 We show you how avoid the January blues while still enjoying a delicious Christmas? I personally think this is the most important one. Don’t deny yourself of anything over Christmas but do watch the portion size of all of your meals. Try to eat the same portion size as you would normally eat. You know half an hour after Christmas dinner, when you have managed to roll yourself onto the sofa, you are going to regret that 10th roast potato. Keeping an eye on your portions does not mean you need to deprive yourself of anything, but at the same time you don’t need to go over the top either. Believe me, the savings to rack up. 2 Roses chocolates instead of 4 is a saving of 90 calories. One mince pies instead of 2 is a saving of around 185 calories. A smaller portion of turkey rather than a large one is a saving of 120 calories. Christmas Day is just one day, not 4 weeks. That means that you don’t need to stop your usual exercise routine as soon as you break the advent calendar out. You might not feel like getting to the gym in this weather, or may not have time to attend at your usual training times due to Christmas parties and get together’s, but do try to schedule your workouts in advance and commit to them. Your body will thank you for it in January. 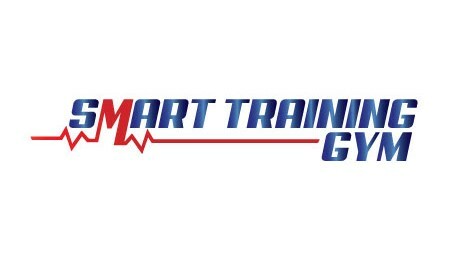 SMART Training Gym, Churchtown, is running Personal Training sessions and Group Training sessions throughout the week before Christmas Day and the days between Christmas Day and New Years Eve. Between the late nights, overindulging, crowded shops and the general stress of the Christmas time – the immune system takes a big punch! We recommend taking a multivitamin all year round but it’s particularly important at this time of year when we may be more stressed and are perhaps not making the very best nutritious food choices. Supplement the multivitamin with a few essentials that will support the immune system like – a multi-mineral, vitamin C, vitamin D, fish oils and probiotics. Try to chose good quality products from your local health store as much as you can. Drink lots of fluid in the form of water, freshly made juices or herbal teas. I like to add fruit to my water – it’s amazing how you can drink so much more when it’s flavored. Many people mistake thirst for hunger; when truly hydrated you won’t have false hunger and be more in touch with your natural hunger patterns (remember – ONLY eat when hungry!!) As an added benefit keeping your body hydrated will also have a direct impact on the health of your skin – dehydrated body = rough itchy skin while maintaining proper hydration will keep your skin smooth, supple and wrinkle free. The main one will be turkey. It is a healthy protein source, it is full of vitamins and you only need to eat a little bit of it to feel full. And what is Turkey’s best friend? Cranberries of course! Not only the perfect partner to your turkey, but they are full of antioxidants and they lower bad cholesterol. Spices like nutmeg and cinnamon are heavily featured in festive food. Make the most of them. Vegetables like brussel sprouts, carrots and parsnips feature heavily in Christmas dinners too, so fill your plate with those. We are firm believers that if you can sneak some extra fruit and vegetables in to your diet, you will not only feel fuller for longer but you will be little bit healthier with all those extra vitamins. Whilst meals are usually pretty indulgent around Christmas time, try to keep your snacks healthy and fruit and vegetable packed. Christmas time can be so busy with very little time to prep food, we reccommend stocking up on premade coldpress juices or smothies (the Innocent Smoothie’s are stocked in carton form in most good Supervalu’s and are delicious). They come in very handy for a vitamin boost on the run. Stock up at the start of the Christmas break and have one of these at the start of the day, and you know that no matter what you eat for the rest of the day, at least you have had some goodness. We hate when we hear Personal Trainers advise their clients to not “make room for mistakes” or “don’t let one slip up ruin their day” . While they have good intentions they can set the client up for failure by merely saying consuming certain foods are a “mistake” or “slip up” – in this case there is always guilt associated with eating them. LOSE THE GUILT!! Accept that during the holiday season you will most likely ENJOY (IF you’re going to eat it you might as well enjoy it!) foods that you normally wouldn’t eat year round and even more likely foods that aren’t doing any favors for you health wise. BUT this is the festive season– so if you want a bit of Christmas Pudding– have it (just not every day), want a mince pie? Well have that too, just don’t overdo it and save those less than healthy snacks & foods for the parties and the get together not the times that you are running around starving and reaching for whatever food you can find or eating out of boredom!